If you are thinking about renovating your master bath, powder room, or guest bathroom, the dedicated in-house design team at Henry Kitchen & Bath can help you design the perfect bathroom for you and your family. When creating your new bathroom, our designers will work with both you and our installers to make the renovation process seamless and stress-free, from concept to completion. A high-quality, functional bathroom faucet is an essential fixture in every bathroom, so the industry’s leading brands have created an endless variety of faucet features, styles, finishes to suit any bathroom. 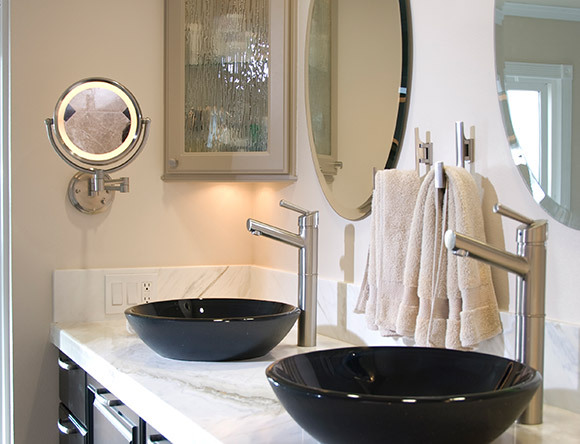 At Henry Kitchen and Bath, our vast catalog includes thousands of bathroom faucets from standard center-set faucets to the luxurious wall-mounted models and everything in between. As one of the most important fixtures in your bathroom, a durable, functional sink that complements your style is an investment in your family’s lifestyle. At Henry Kitchen & Bath, our St. Louis showrooms stock many different styles, brands, and materials of bathroom sinks, so you are certain to find the perfect sink for your space. At Henry Kitchen & Bath, we know there is nothing more soothing than a relaxing shower after a long day, so we offer many shower styles and accessories to help you create the perfect space to refresh and re-energize yourself. Selecting the style, color, and finish of your new shower are important decisions, and our design team is happy to assist in bringing your vision to reality. As a central focus of many bathroom designs, the bathtub can transform any bathroom into the perfect relaxing escape from daily life. Henry Kitchen & Bath has a vast selection of bathtubs from the industry’s top brands with special features like whirlpool jets. Our experienced designers will work with your design vision to select the perfect bathtub from our extensive catalog, so you can enjoy relaxing and refreshing soaks for years to come. A well-functioning, durable toilet is one of the best investments you can make for your bathroom design. 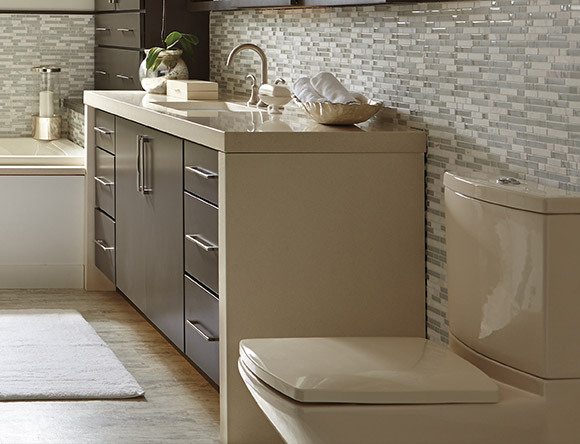 With many important considerations such as seat height, material, and cleaning features, the designers and installers at Henry Kitchen & Bath will work with you to select the perfect toilet that will serve your family for years to come. Well-planned bathroom lighting can transform your bathroom from a purely functional room into bathroom of your dreams. For the best visibility, the designers at Henry Kitchen and Bath will create a layered lighting layout that is tailored to your space to ensure there is enough ambient and targeted lighting. A high-quality bathroom fan is as important as good lighting because it properly ventilates the space to prevent any mold and mildew buildup and enhance air quality and comfort. Bathroom accessories like towel racks and built-in shower benches are essential in creating a functional bathroom that your family loves to use. Whether you are completely renovating your bathroom or simply updating your space, adding the right bathroom accessories in a style and finish that match your home’s aesthetic can elevate your bathroom from a cluttered, inefficient space to a functional, beautiful room you look forward to starting and ending your day in. 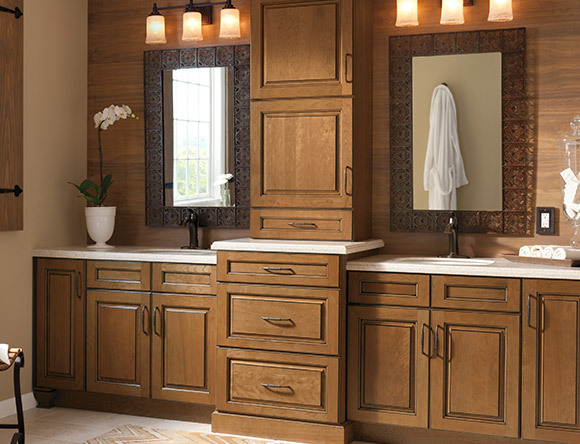 Bathroom cabinets are an important investment in the style and function of your bathroom. 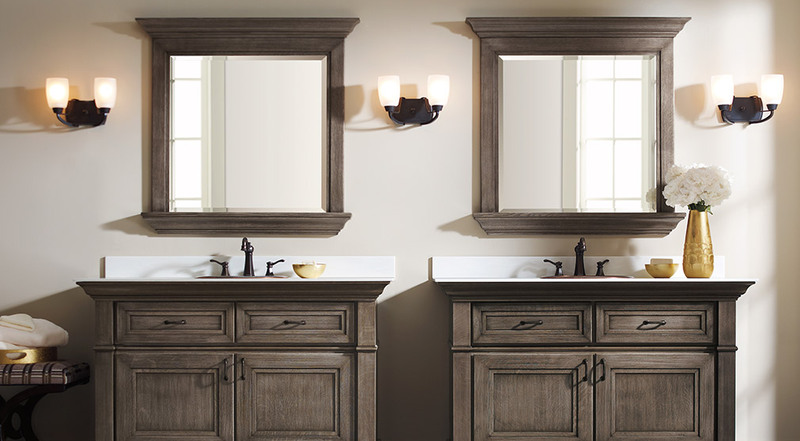 With many space-saving features that allow you to effectively utilize every square inch of your bathroom, selecting the right bathroom cabinets ensures you maximize storage space. 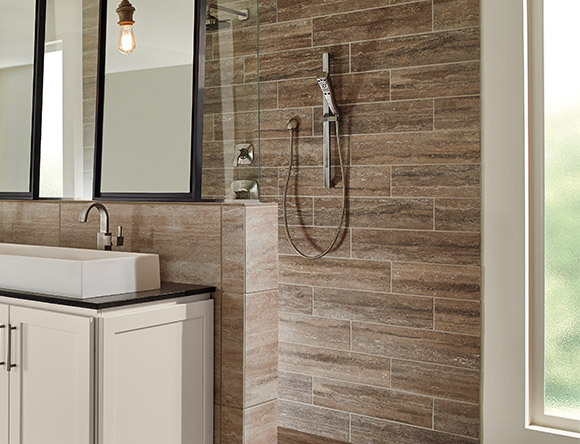 With hundreds of styles, materials, and brands to choose from, the designers at Henry Kitchen & Bath will provide you with the guidance and expertise to create the bathroom of your dreams. 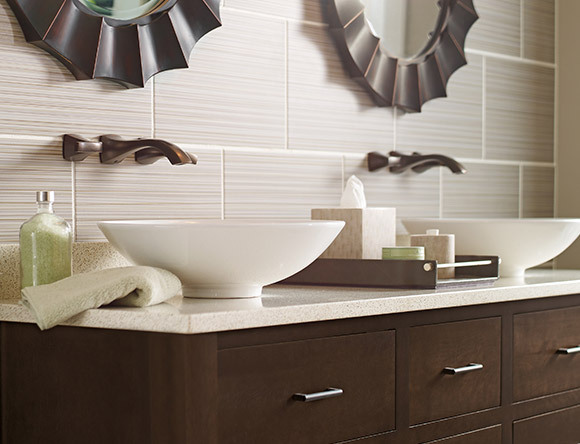 Whether you want a modern, transitional, or classic bathroom, Henry Kitchen & Bath can bring your personal style to life. Our vast St. Louis showrooms are fully stocked with the best finishes and newest features of cabinets, fixtures, and tiles, so you can purchase all of your components directly from us, making the transformation of your bathroom from shabby to chic hassle-free. 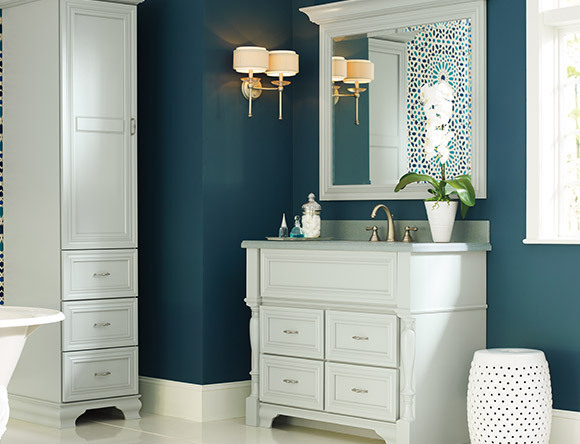 As a leader in the industry since 1946, Henry Kitchen & Bath has helped thousands of businesses and homeowners transform their bathrooms and powder rooms from frumpy after-thoughts into spa-like destinations. We specialize in both partial and complete custom remodels, and our extensive product catalog ensures you find all the best bathroom fixtures to perfectly fit your desired style and aesthetic. 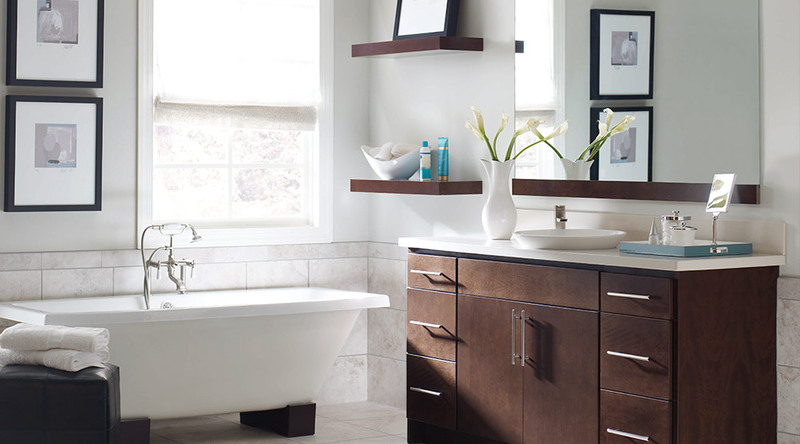 Whether you want a fresh, modern space or prefer a decorative, classic look, Henry Kitchen & Bath has the expertise and products to help you achieve your dream bathroom. Our design and installation teams will work with you to ensure every detail of your new bathroom completes your design vision. Not only can we do complete bathroom renovations, our designers also have experience working with existing design and layouts to provide all the finishing special touches that make a bathroom truly stand out as one of a kind. 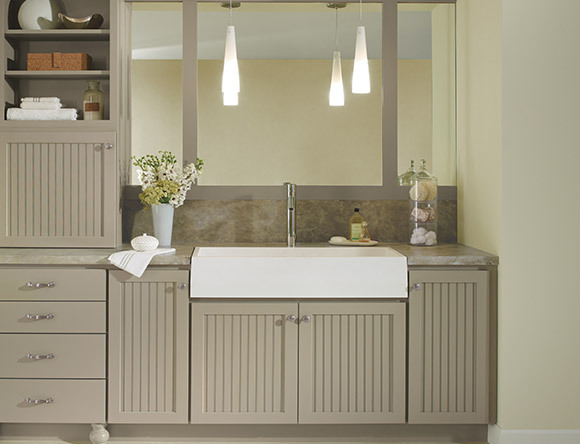 We would love to hear about your project needs and how we can help transform your bathroom. For a free consultation, fill out the form below to contact with one of our experienced designers who will help start your bathroom renovation. At Henry Kitchen & Bath, we can make your dream bathroom a reality!